The holidays are a special time for remembering, and a time to celebrate the lives of people we love – people who are living, as well as those who have passed away. Aspirus Riverview invites everyone to celebrate the lives of those special to them by participating in Lites of Love. The Lites of Love trees are located outside Aspirus Riverview Hospital along the Riverview Expressway and remain lit throughout the holiday season. · Lite of Love Level – $3 per lite. Each lite may be in honor or memory of one special person. · Silver Level - $25. Each silver level donation may be in honor or memory of one special person. · Gold Level - $100 or more. Each gold level donation may be in honor or memory of one special person. 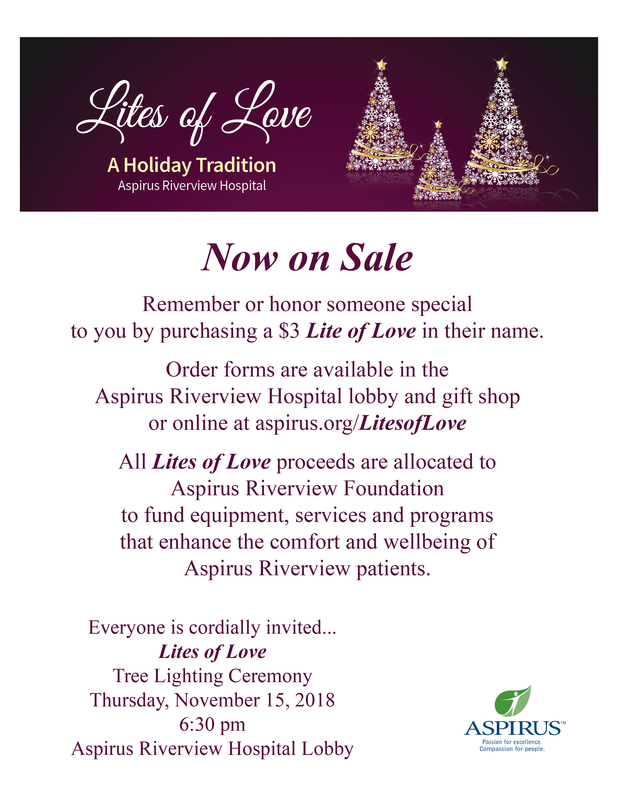 Order forms are available in the Aspirus Riverview Hospital lobby and gift shop or online at aspirus.org/LitesofLove. Lites ordered by October 26 will be listed on the Lites of Love Recognition Wall located in the hospital lobby. Aspirus Riverview invites everyone to the Lites of Love Tree Lighting Ceremony on Thursday, November 15, at 6:30 pm in the hospital’s lobby. The ceremony includes music, a brief message, light refreshments, and the ceremonial lighting of the Lites of Love trees. The hospital gift shop will also be open from 5:30 to 7:30 pm. 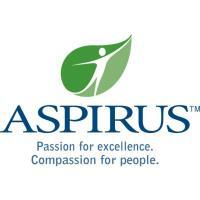 Proceeds from the Lites of Love annual holiday fundraiser are allocated to Aspirus Riverview Foundation to fund equipment, services and programs that enhance the comfort and wellbeing of Aspirus Riverview patients.